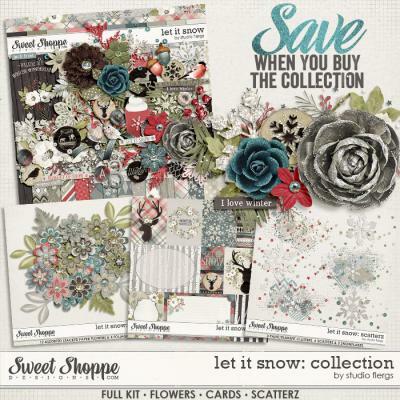 Buy this BUNDLE and save! 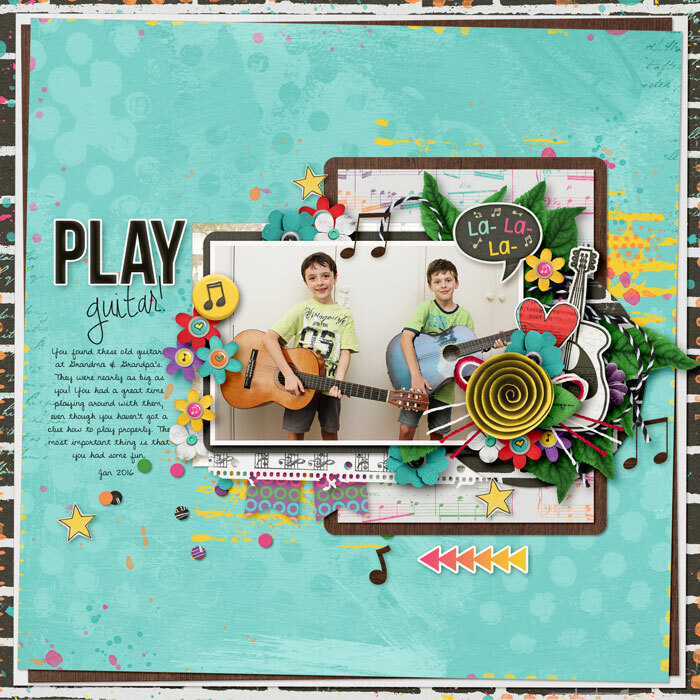 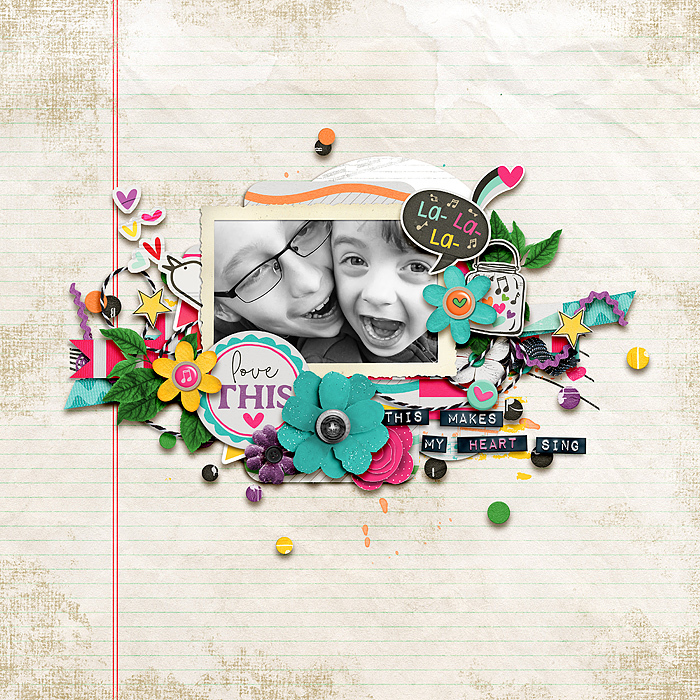 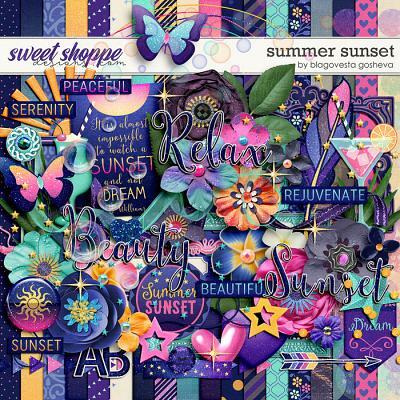 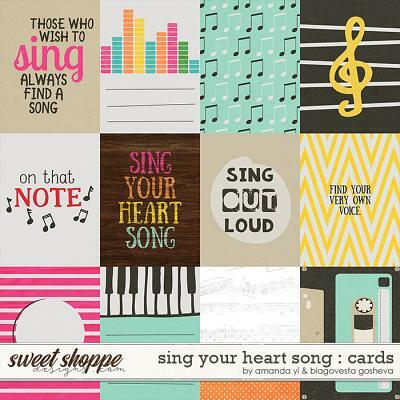 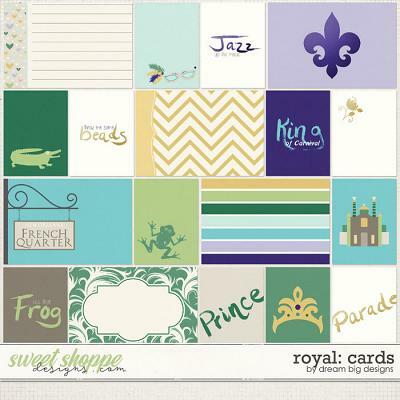 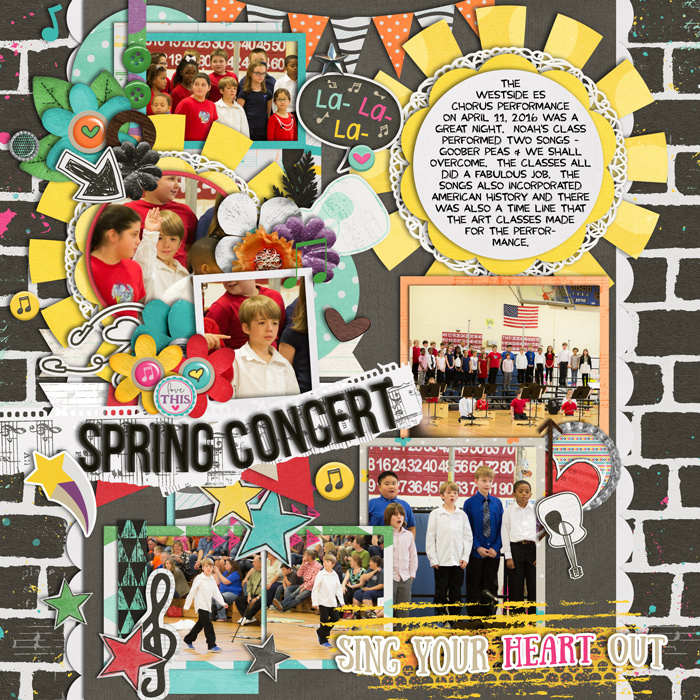 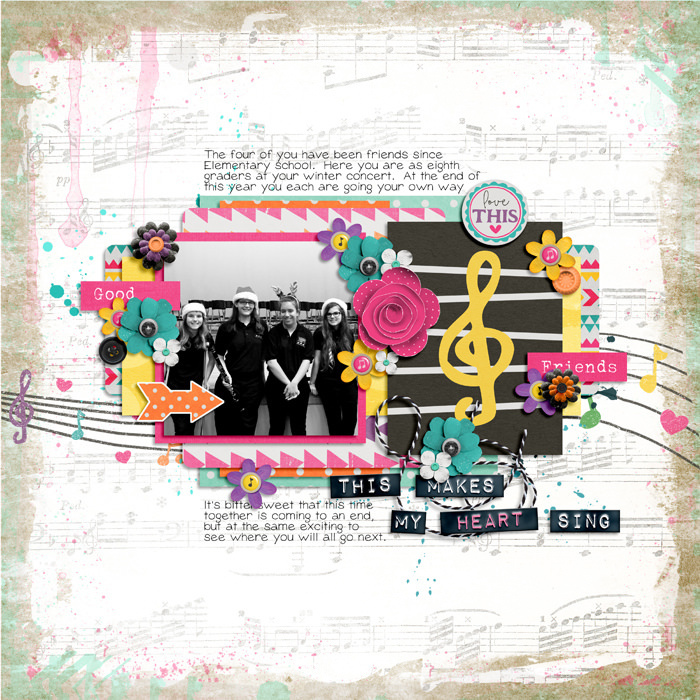 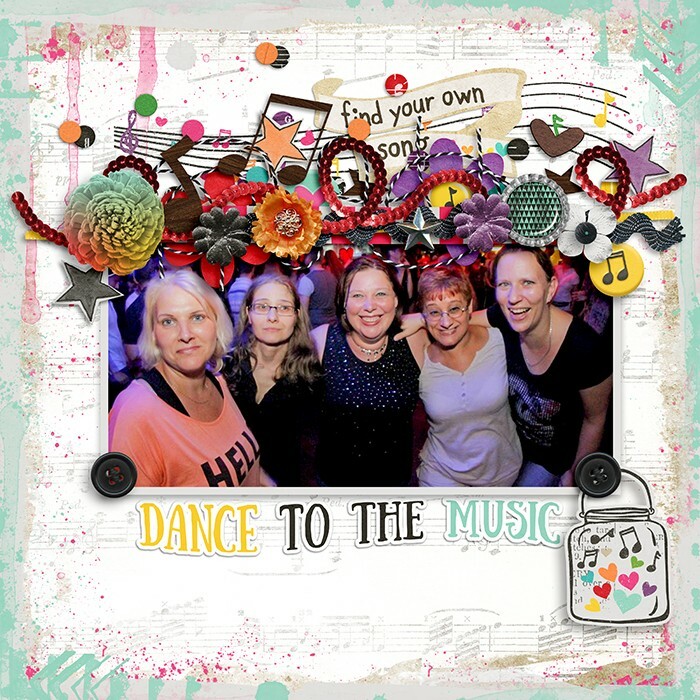 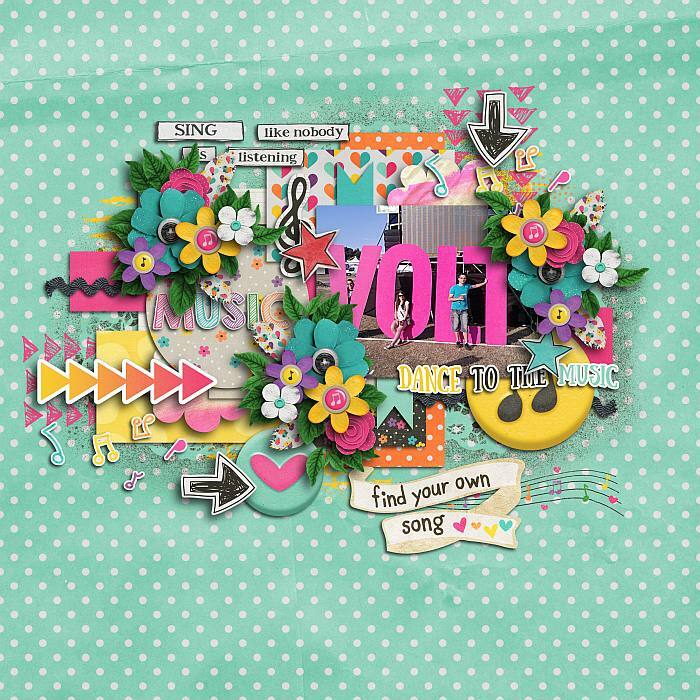 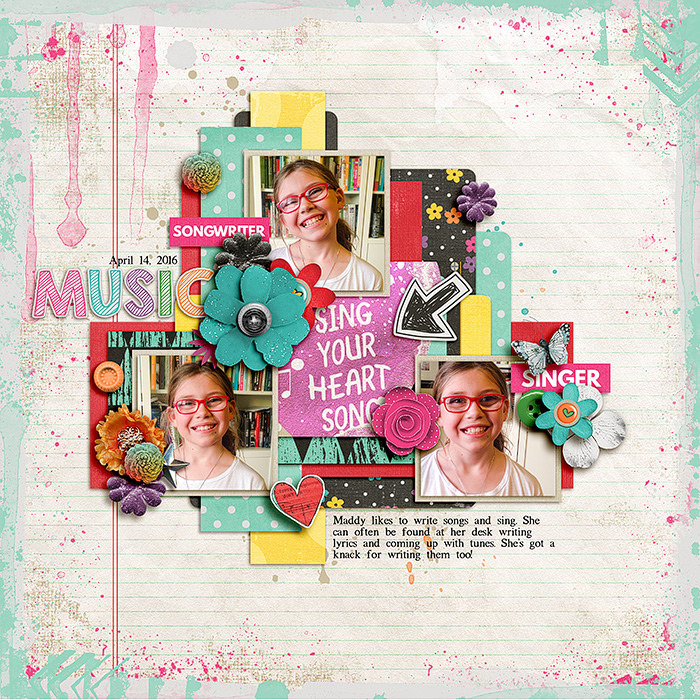 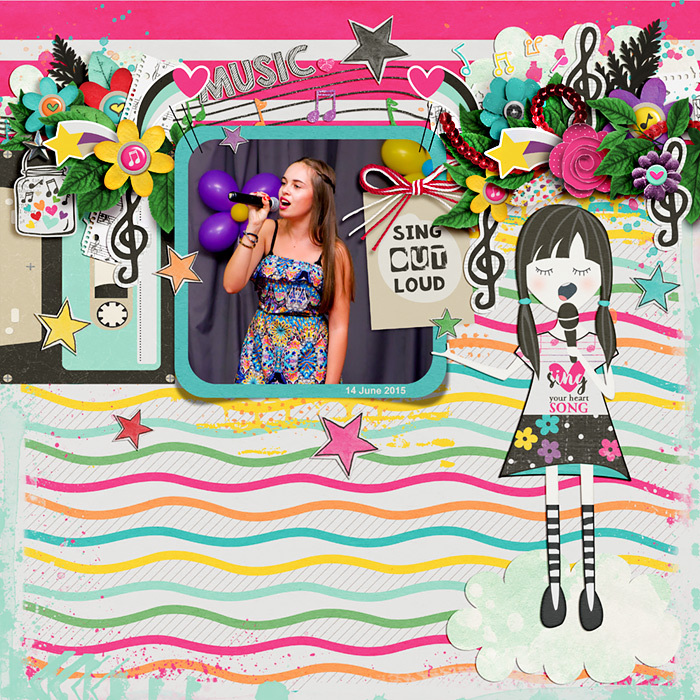 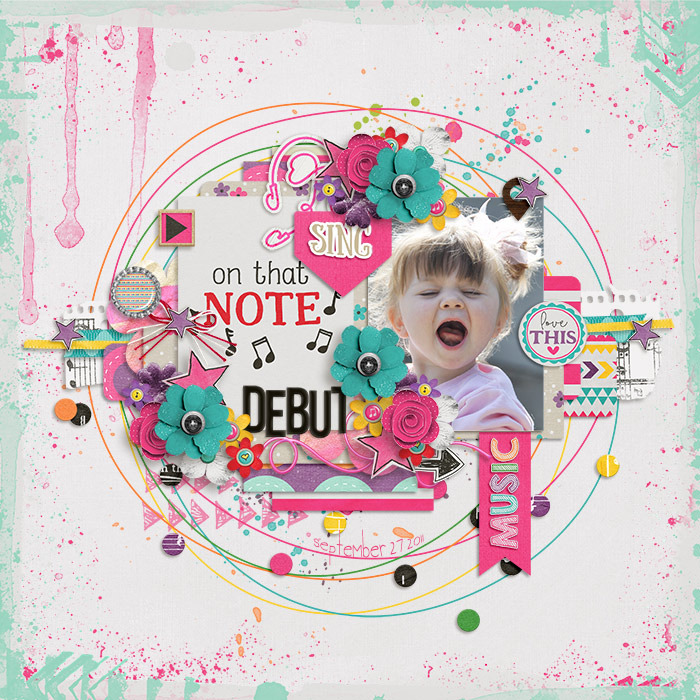 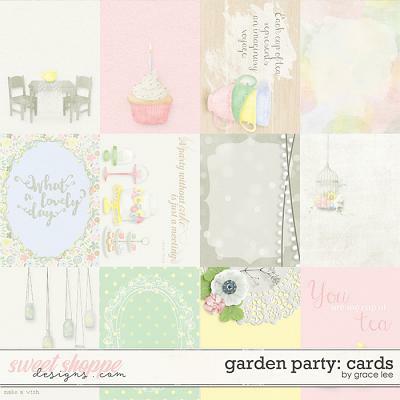 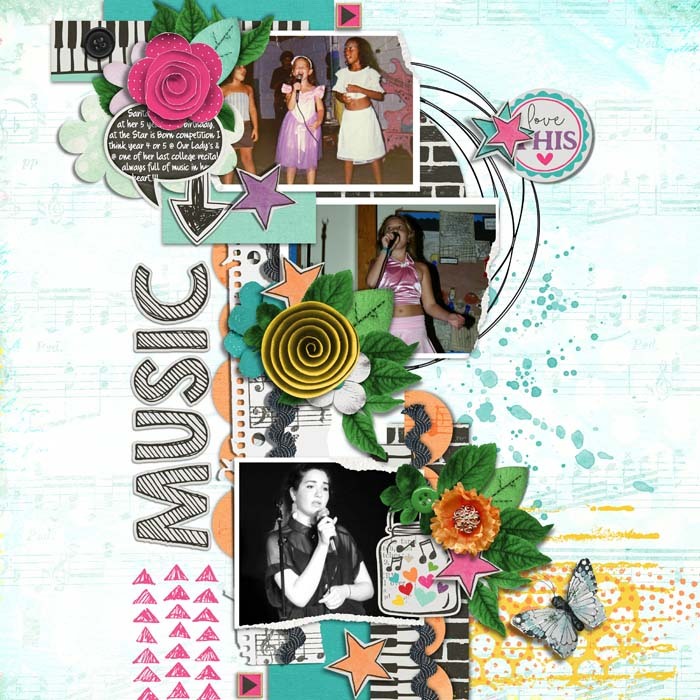 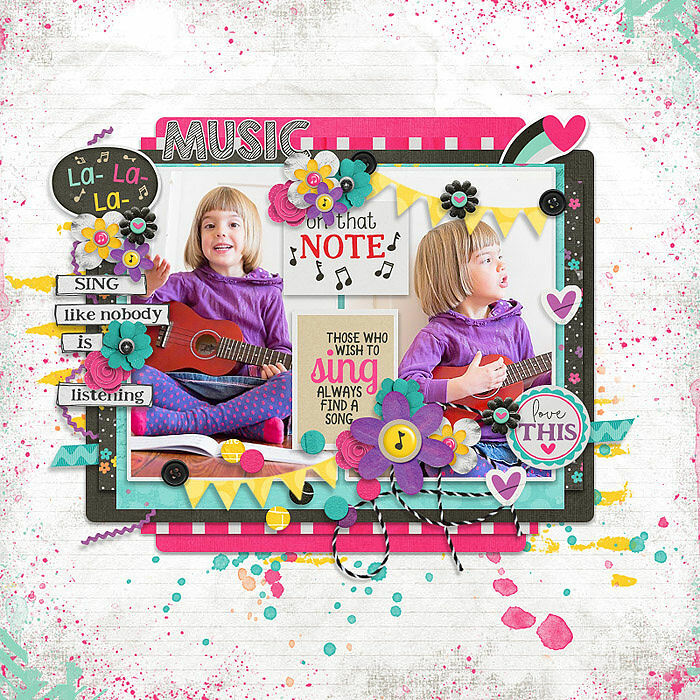 A digital scrapbooking collection by Amanda Yi and Blagovesta Gosheva, Sing your heart song is a fun, quirky collection full of unique elements and papers. 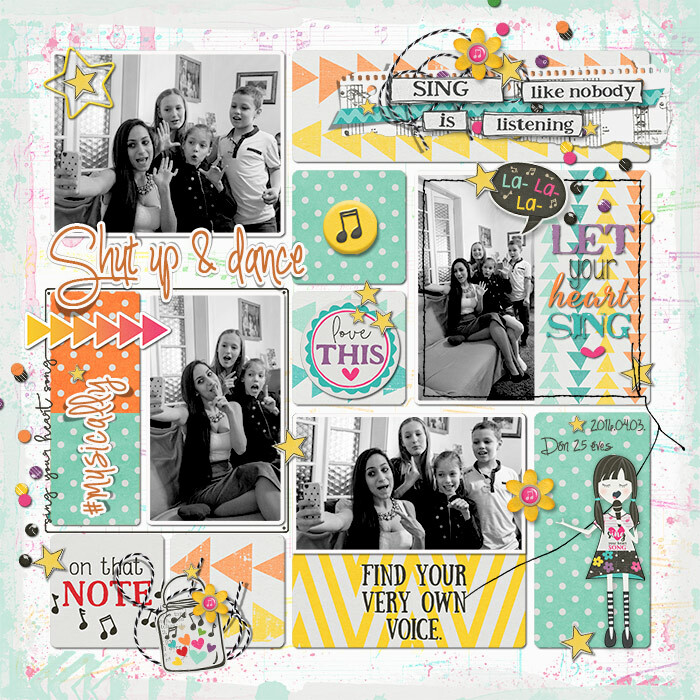 It's all about singing, dancing and enjoying life to the fullest! 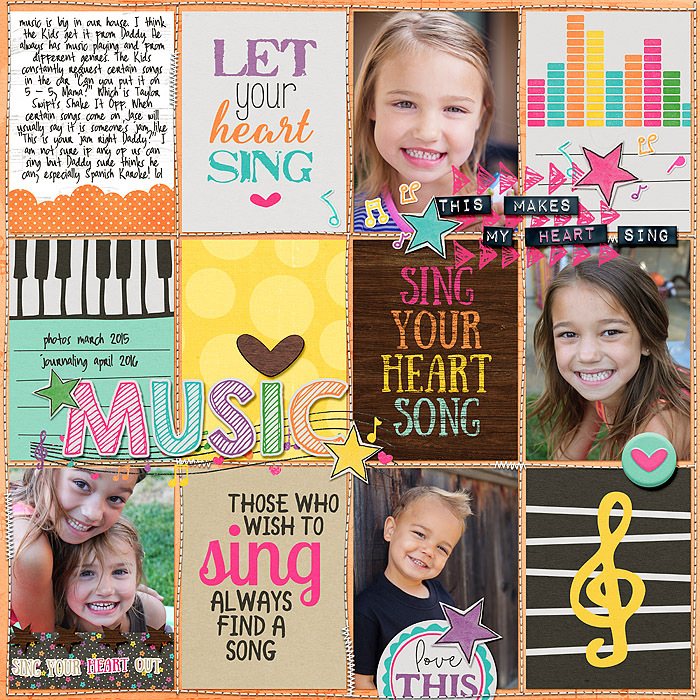 Includes page kit, alpha and made to match pack of 3x4" pocket cards. 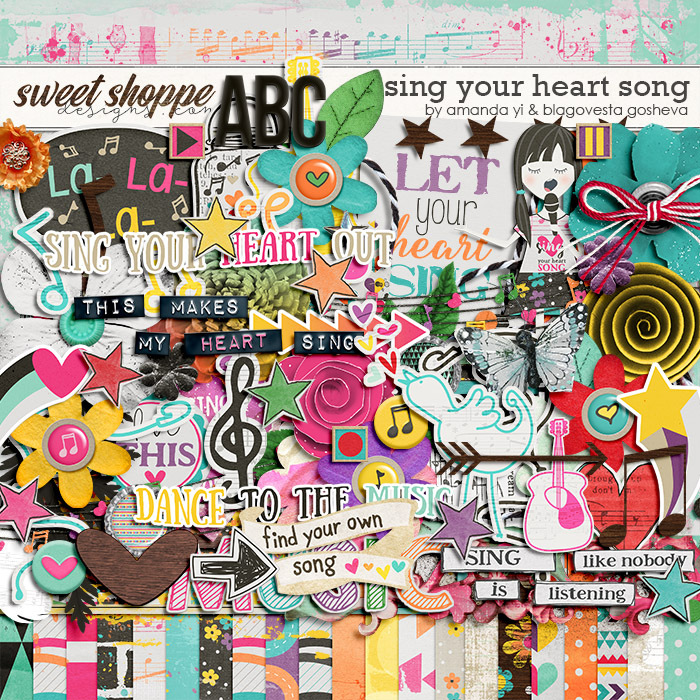 The kit includes: 20 patterned/brushed papers, 10 solid papers, Alpha (uppercase), 6 different frames (some shadow versions also included), artsy doodle frame, 12 flowers, butterfly, doodle guitar in 5 color variations, doodle songbird it 4 color variations, felt leaves, foliage, 2 feathers, 3 hearts, doodle earbuds in 5 color variations, a lot of stars, 2 brads, "play", "pause" and "record" buttons, 2 bottle caps, few arrows, shooting heart and star, pin, 3 buttons, sequin, singing girl, guitar and star paperclips, binderclip, bow, notes, 2 strings, 3 ribbons, confetti, ric-rac, sequin strim, scribbles, doodle jar with hearts and notes, worn paper piece, pocket card, 2 artsy clouds, clothespin, musicwaves, colorful doodle staff, speech bubble, trebleclef, stitching, artsy page border, paint, overlays, few pieces of wird art and wordbits.